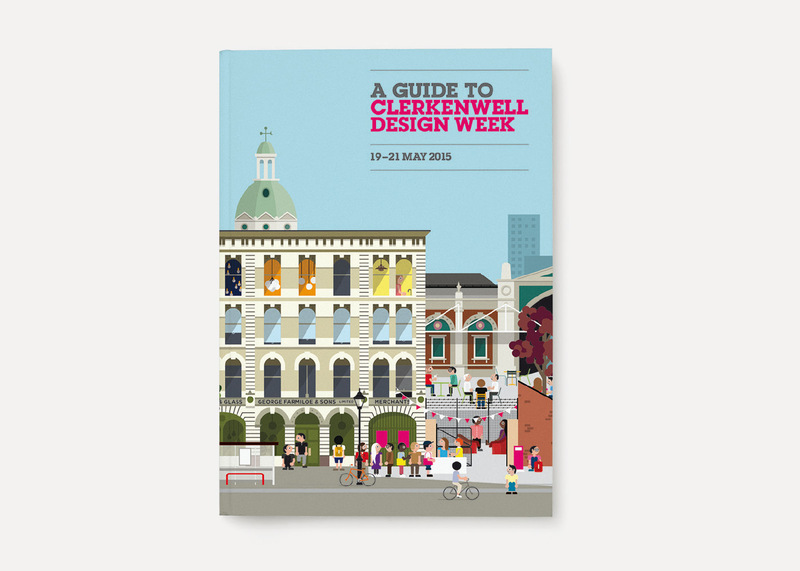 Clerkenwell Design Week celebrates design in London’s creative heart with pop-up exhibitions, debates, product launches and music. 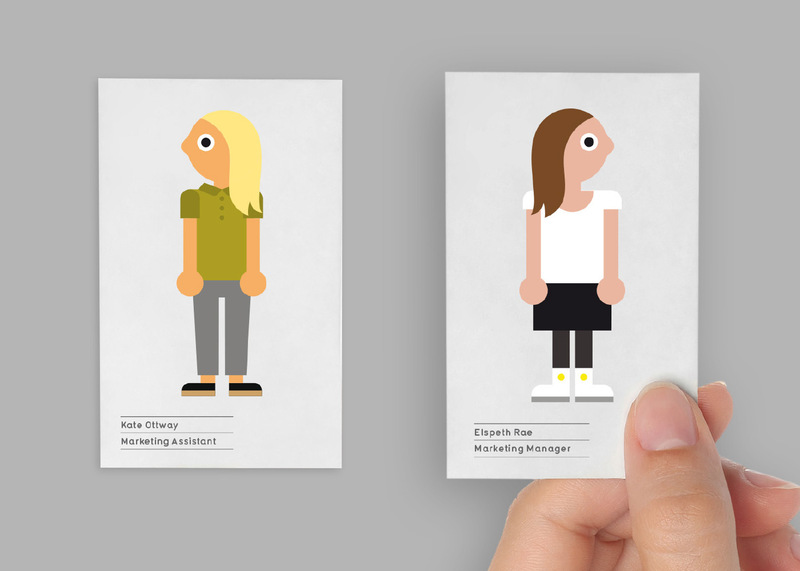 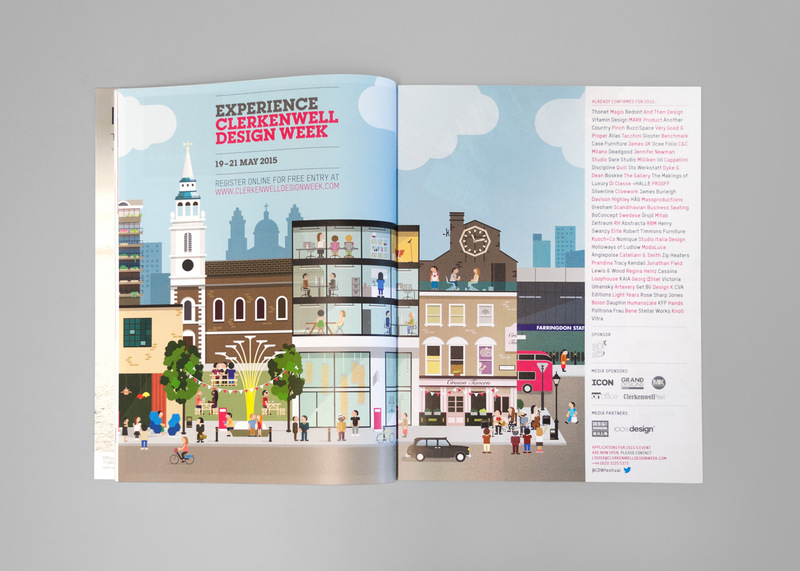 We were asked to produce the campaign for 2015’s event. 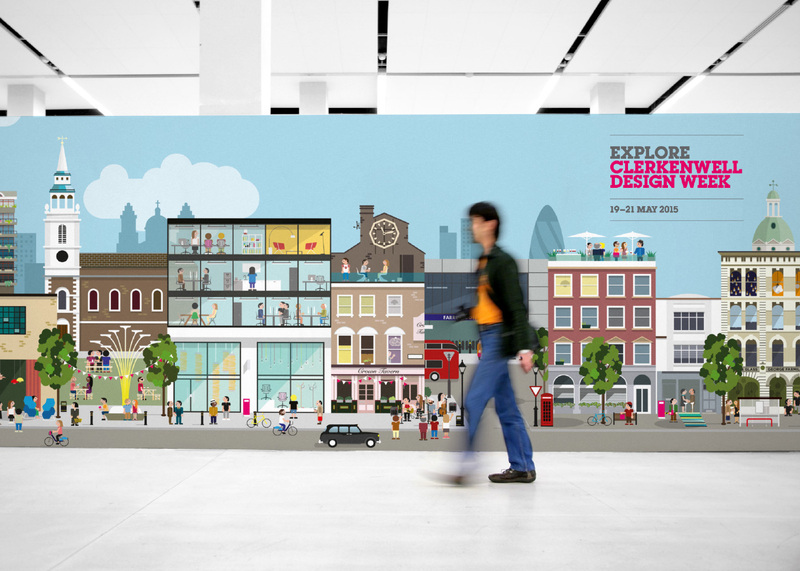 We collaborated with Illustrator Stephen Cheetham, producing a landscape that represented the area with furniture designs, people and architecture. 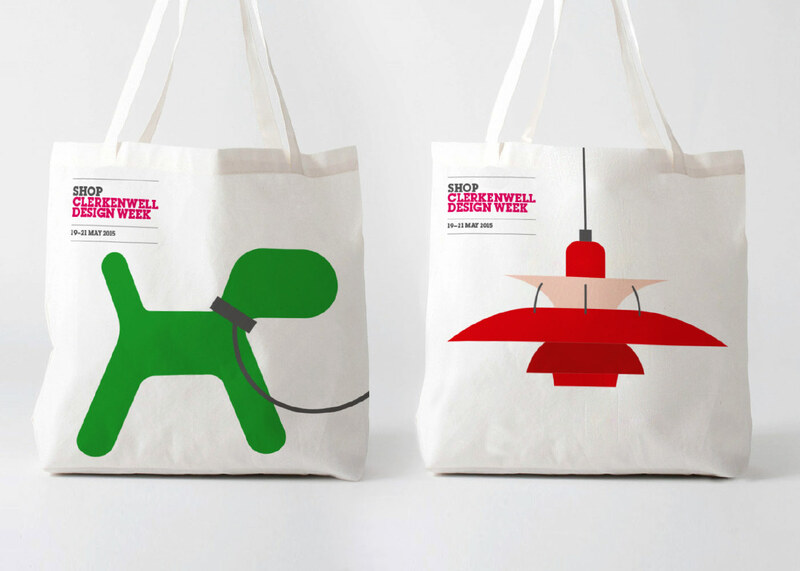 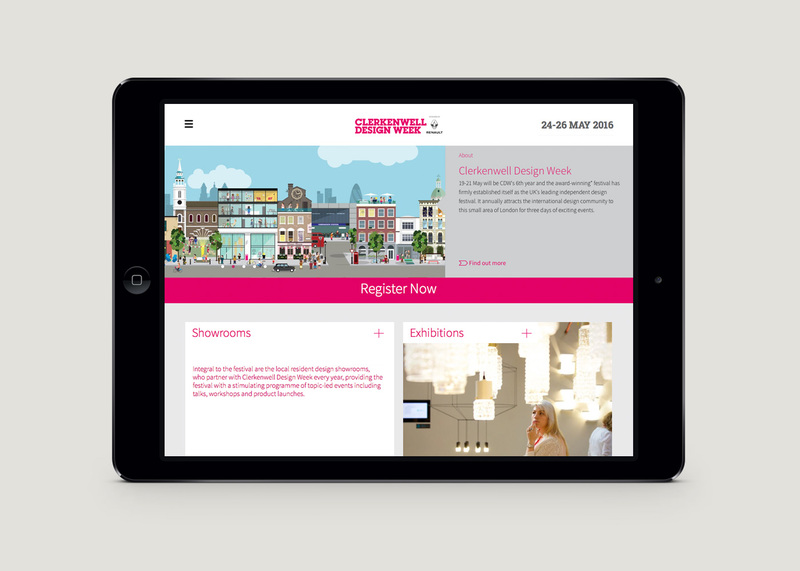 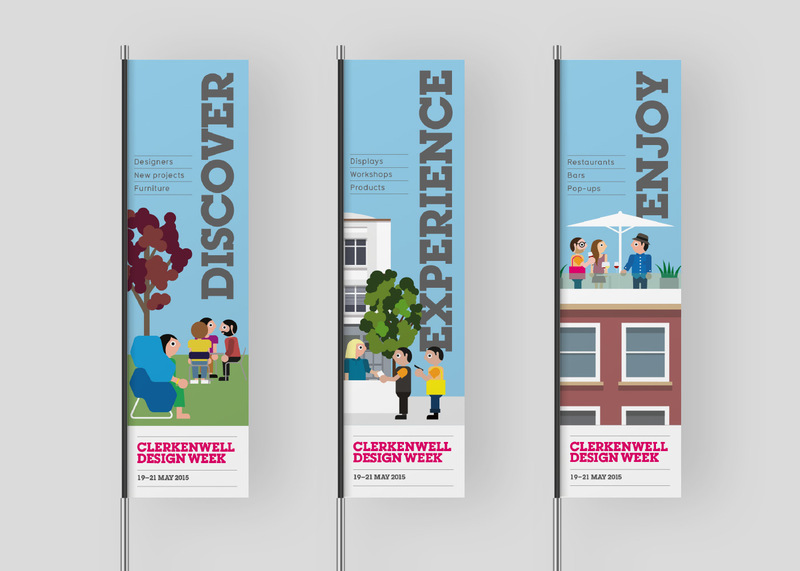 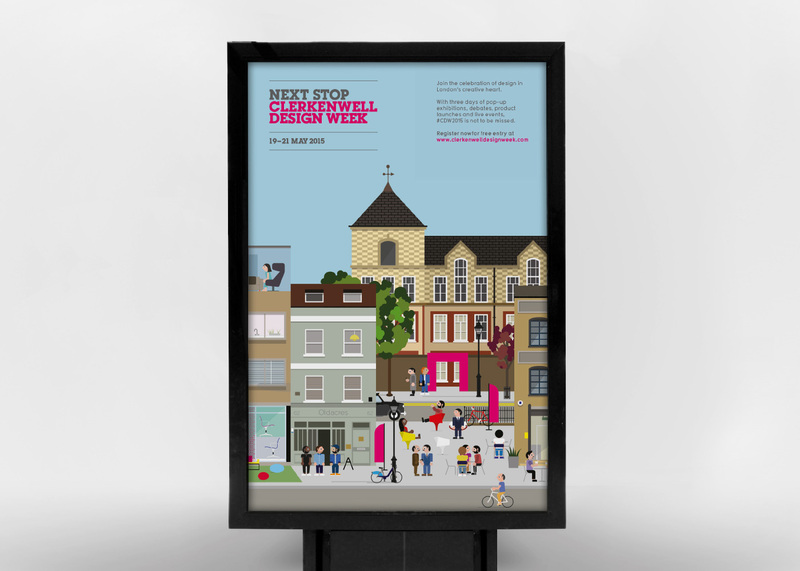 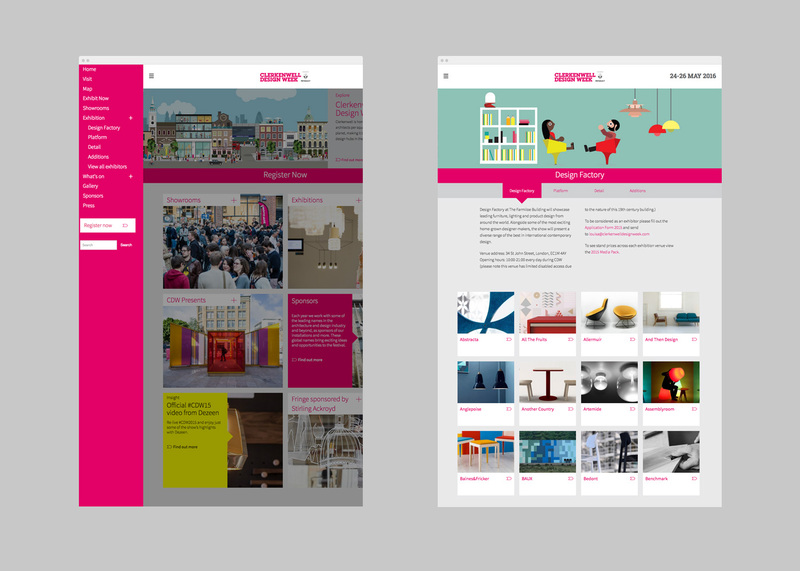 We adapted the previous Clerkenwell Design Week logo so it can easily incorporate various messages across the campaign.